One of the most disheartening parts of being in the price forecasting business, particularly in the energy price forecasting business, is that, despite all your hard work, your forecast will most likely be wrong… and the further out you go, the further the actual price will deviate from your forecast price. The good news is that, the next period aside, you will get multiple shots at revising your forecast based upon newer information. It is important to understand that there are primarily two different types of price forecasts. First, there is the Short Term Price Forecast – given what (we think) we know right now, this is what we believe the average monthly price “will be” over the next 3 – 24 months. A short term price forecast takes into consideration the current price – not only what the price is but why it is what it is, any anticipated changes to supply caused by new capacity coming on line, capacity that has gone off line, turn around schedules, Inventory levels, infrastructure constraints, and issues in alternative markets. From a demand perspective, it would be similar issues to consider… and then there is seasonality and even market sentiment to consider. Next, there is the Long Term Price Forecast which is given what (we think) we know right now, this is what the annual average price “should be” over the next 3 to 20 years. The actual price, at that time, will either be above or below that point depending on a number of unpredictable elements (see short term forecast definition). The long-term forecast takes more of fundamental economic approach. While it does take capacity into consideration it doesn’t rely on inventory, seasonality nor sentiment and is generally the long term equilibrium between supply & demand. Some of the more advanced models will consider a given commodity’s business cycles but this can present some very sophisticated challenges for the forecaster without significantly improving the accuracy of the forecast. Some people would say there is a third type, the “intermediate” price forecast but in reality this is just a process a forecaster will go through to connect the short term forecast to the long term forecast. It is much more art than science. Finally, there is the Forward Price Curve, which is not a forecast at all. Technically, it is the average price that buyers/sellers agree on today, for delivery and settlement in a future period. One party (the buyer) believes the actual price will be higher than the forward price in that period, the other party (the seller) believes it will be lower and they both agree on a price today to be paid in the future. This forward price curve can (and will) change daily. Different people use it in different ways but this will be the topic of a future article. – regardless, it may be an indicator but it is certainly not a forecast. A commonly asked question to any forecaster always concerns accuracy. I had one client actually ask me to give him a short-term price forecast from 18 months prior. He overlaid my forecast with the actual historical prices and then proceeded to tell me how horrible I was at forecasting. I agree, on the surface it was horribly wrong. I let him finish, listening intently, and then walked him through the deviations. Interestingly enough, I was 98% accurate for the first month, then dropping off a couple of percentage points each months over the next three months and then explained to him the 5th month deviation (caused by a pipeline force majeure) and it’s repercussions over the next 6 months followed by a hurricane in the Gulf of Mexico… The entire forecast came down to two unplanned, unforeseeable events. I then trotted out the forecasts put together in the wake of those two events and again overlaying the actual price history and showing him the consistency in my forecasting accuracy in the periods following each of the unplanned events. I then politely asked him if there was a way to make the original forecast any more accurate. His response was that he did not think so. Accuracy is always a tricky question and the challenge facing the forecasters is always in making sure you communicate the assumptions behind and risks to the forecast you are putting out. Conversely, if you are the recipient of the forecast make sure you fully understand the assumptions that went into the forecast and think about the risks – after all, what is the worst thing that could happen if the forecast is wrong? At ICIS, our consultants enable businesses to address specific, long-term challenges through providing robust proprietary data, on-the-ground expertise, and strategic insight across the global refining and petrochemical industries. From research and due diligence, to investment analysis and portfolio optimization, our team of experienced consultants will work alongside your business to identify opportunities and challenges, mitigate risks, and help you meet your growth objectives. Click here for more information on ICIS Consulting. 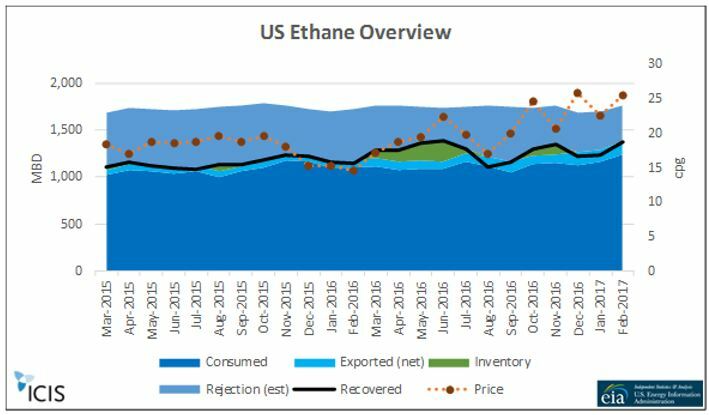 NEXT POST Is The US Ethane Market Getting Tighter?